Sew Fundamental 201 is a 4-week continuation series to follow Sew Fundamental. You will continue to build your sewing expertise. 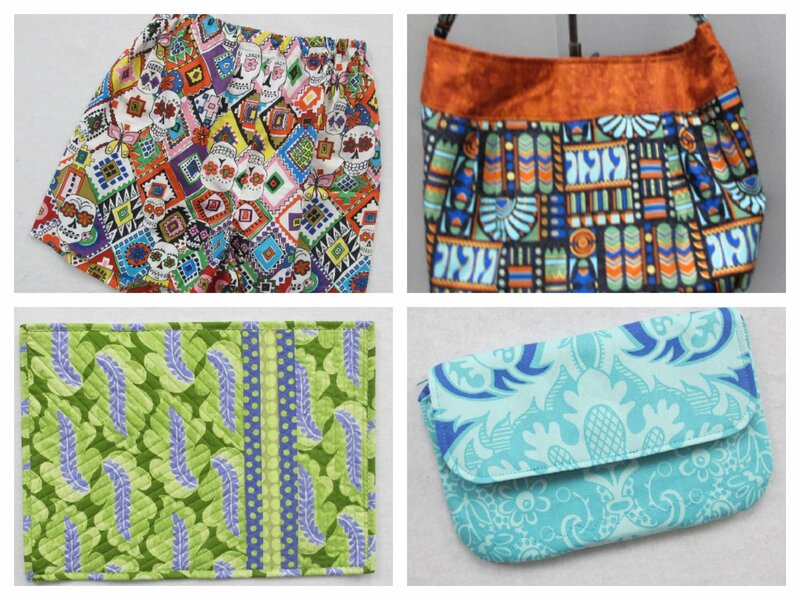 Many of the projects will be found in the book School of Sewing and your choice of optional projects using purchased patterns. The first class is the Camelback bag (pattern) or the Tech Case. The second class is lounge pants or boxer shorts (patterns to be purchased) or the previous weeks class selection. The third class is the Pleated Purse or Carry-all Clutch. The fourth class is placemats or table runner or a project of your choosing.